The Rosenbach Museum & Library in Philadelphia seeks to inspire curiosity, inquiry and creativity by engaging broad audiences in exhibitions, programs and research based on its remarkable and expanding collections. 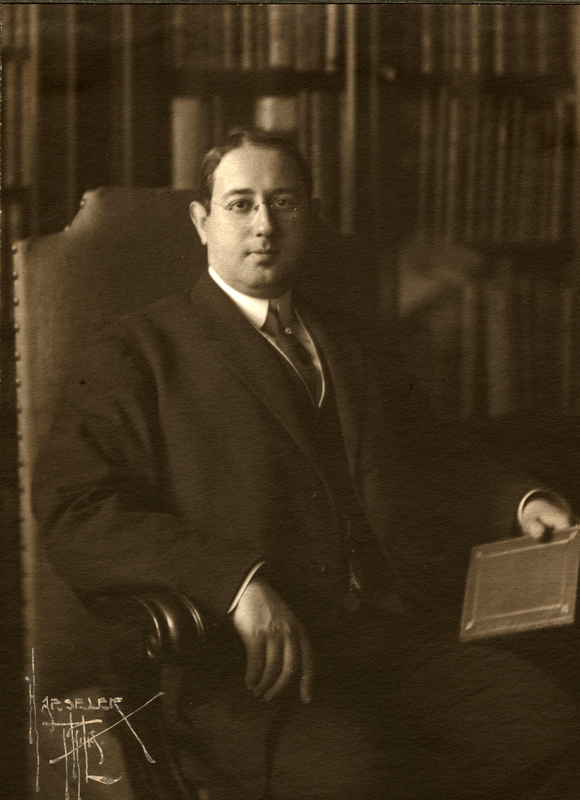 The museum was founded by legendary book dealer A.S.W. Rosenbach and his brother and business partner Philip. With an outstanding collection of rare books, manuscripts, furniture and art, the Rosenbach is a museum and world-renowned research library, set within two historic 1865 townhouses, that reflects an age when great collectors lived among their treasures. Admission: Admission is $10 for adults, $8 for seniors and groups of 10 or more, $5 for students and children ages 5-18, and free for children under 5. 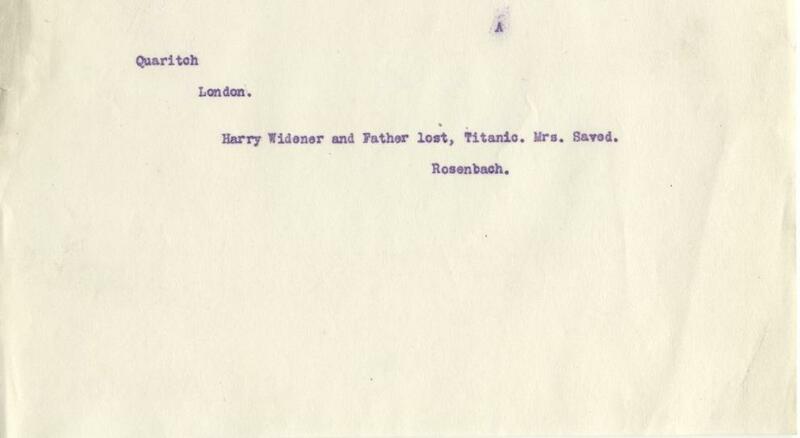 PHILADELPHIA — Concluding a 30-year mystery, theRosenbach Museum & Library has located and acquired a portrait of an early member of the Gratz Family, prominent Jewish early Americans who made their home in Philadelphia. Photo of A.S.W. Rosenbach by Haeseler. Rosenbach Museum & Library, 2006. 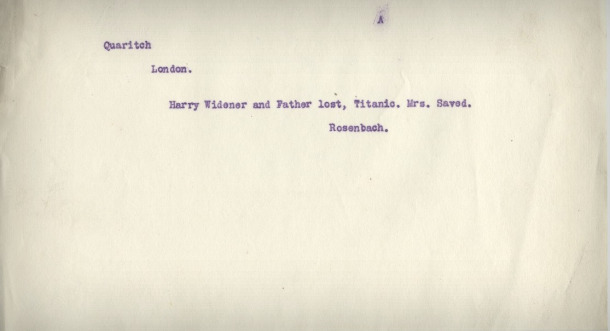 Philip H. Rosenbach (1863-1953), telegram (carbon) to A.S.W. Rosenbach, Philadelphia, April 16, 1912. Rosenbach Museum & Library. 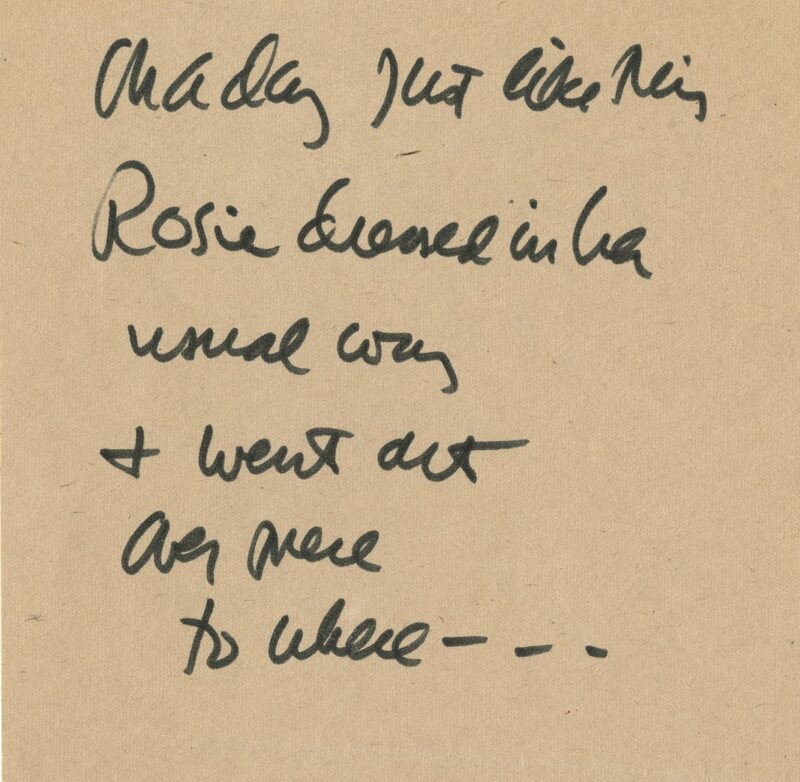 In Rosie’s Backyard, dummy book for The Sign on Rosie’s Door. Pen and ink, watercolor. 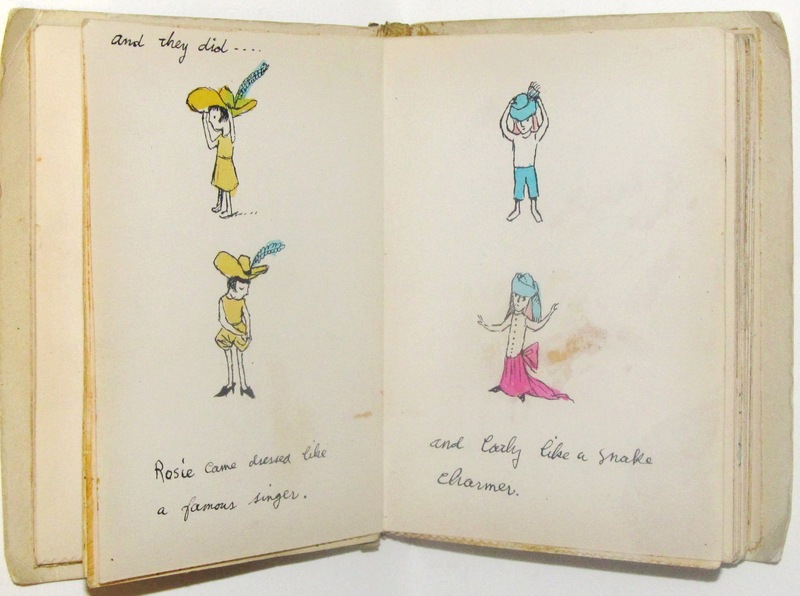 © 1954 by Maurice Sendak. Maria Gratz, Thomas Sully photo by Douglas A. Lockard. 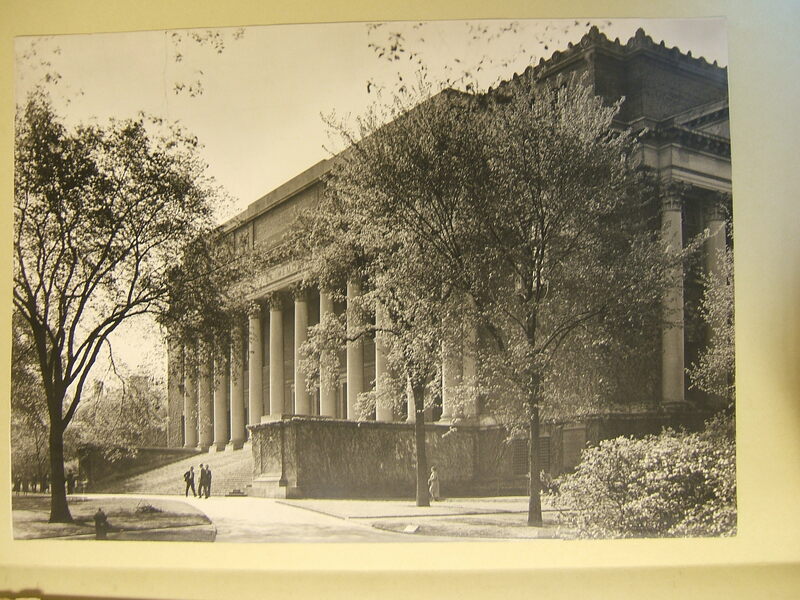 Photo of Harry Elkins Widener Memorial Library. Rosenbach Museum & Library, 2006. 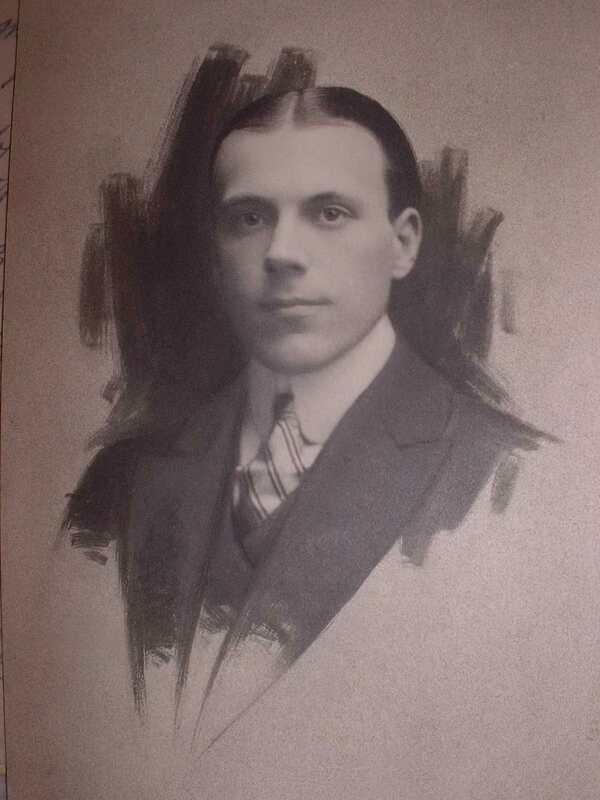 Unknown artist, portrait of Harry Elkins Widener. Rosenbach Museum & Library, 1954. Three storyboard designs for Outside Over There. Pen and ink. © 1976 by Maurice Sendak. Final drawing for Brundibar. Pen and ink, pencil, colored pencil, watercolor. © 2002 by Maurice Sendak. Autograph note for Outside Over There. Marker on paper. © 1975 by Maurice Sendak. 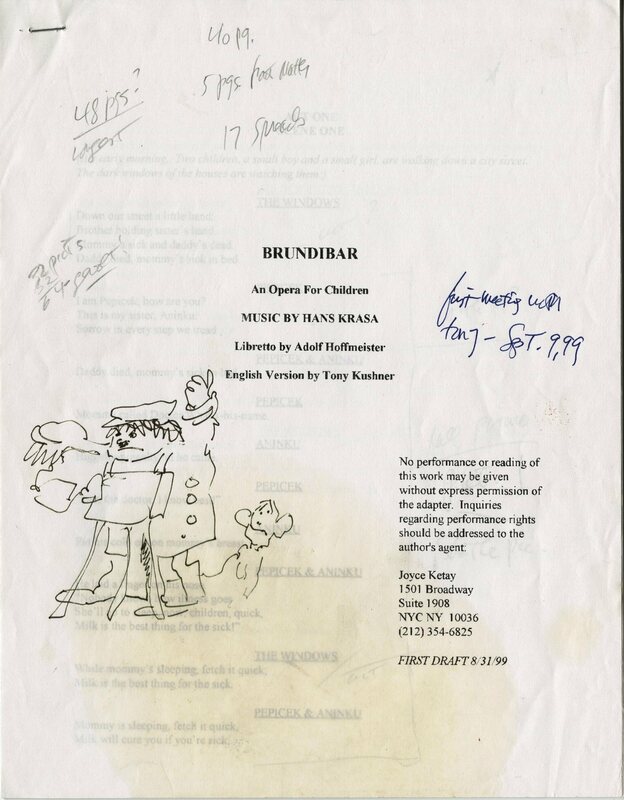 Script for Brundibar, adapted by Tony Kushner. Pen and ink. © 1999 by Tony Kushner and Maurice Sendak. One night, in Larry and Nina’s room, a mural grew. A joyful procession - a dog, two boys, two birds, a lion, a girl, a bear, and a sun - was being painted by a dear family friend, who spread paper and paint jars on the floor and sometimes stood on their beds to work. 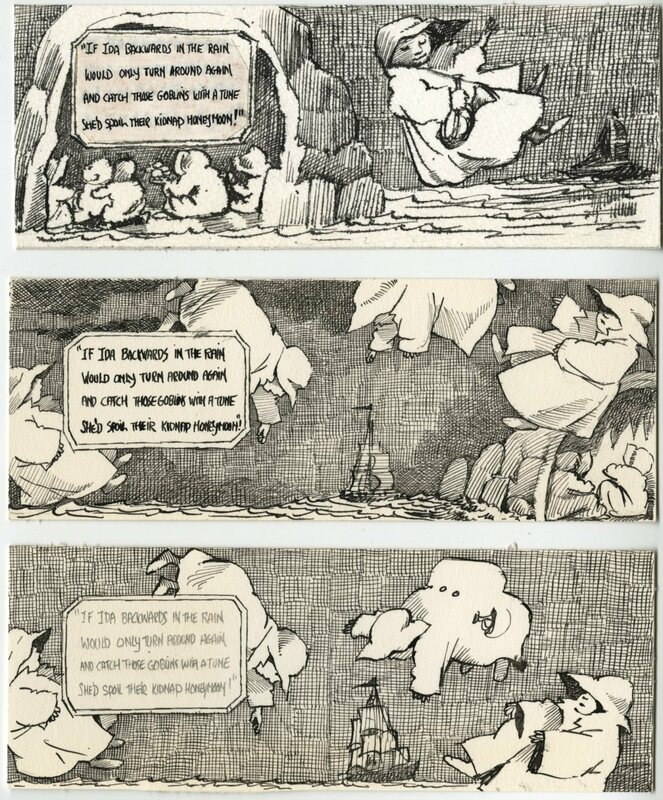 It was 1961, and the family friend - Uncle Moo Moo - was Maurice Sendak, 33. Fifty years later, the mural - in two hefty slabs - has made its way from the 13th-floor apartment overlooking Manhattan’s Central Park to a new home: the Rosenbach Museum and Library in Center City, which houses Sendak’s papers, books, art, and ephemera. “As a kid, it was just an amazing experience,” said Larry Chertoff, 55, who with his sister Nina, 53, donated the mural in memory of their parents, Roslyn and Lionel Chertoff, and Sendak’s longtime partner, Eugene Glynn. (AP) PHILADELPHIA (AP) - Long before award-winning illustrator and writer Maurice Sendak’s world of wild things charmed millions of young readers and changed the notion of what children’s literature could look like, some of his now-classic characters frolicked on a wall overlooking New York’s Central Park for an audience of two. 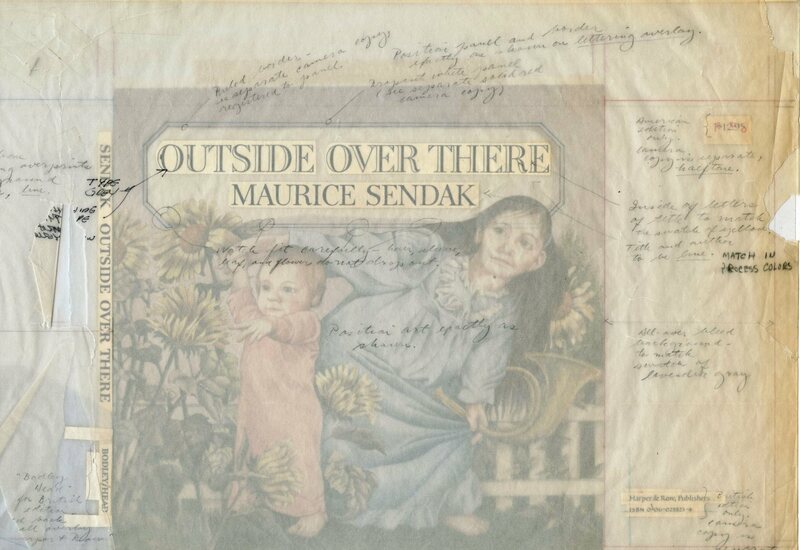 A mural Sendak painted in 1961 was removed - wall and all - after his friends, who were the apartment’s longtime residents, had passed away. Now, it is being restored in a Philadelphia museum devoted to his work. Rosenbach acquires portraits of Gratzes, The museum is "very excited" to have likenesses of Rebecca and her brother, Joseph. 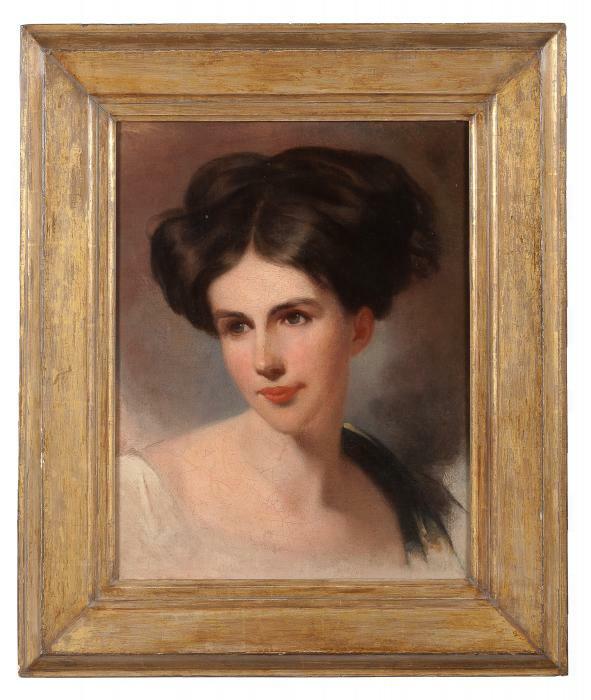 On Tuesday, visitors to the Rosenbach Museum and Library will see what museum officials call their most important acquisitions in many years - a Thomas Sully portrait of Rebecca Gratz, Philadelphia’s renowned 19th-century Jewish American educator, philanthropist and social activist, and a portrait of her brother, Joseph Gratz, by G.P.A. Healy. The Rosenbach now has two of Sully’s three portraits of Rebecca Gratz, as well as portraits of other Gratz family members, and major holdings of family papers and artifacts. At the Rosenbach Museum & Library, for example, contemporary artist Enrique Chagoya has put a new spin on a 19th-century print called “The Head Ache.” Chagoya substitutes the face of Barack Obama for the man in the George Cruikshank original as a commentary on today’s health-care debate, which has been enough to make anyone reach for the aspirin.